As you all know about SEO/Search Engine optimization and it is a must thing for bloggers. In fact without SEO a blog is not going to followed by google search or any search engine crawlers and the mean no visitors visits your blog. A blog without visitors is just like a fish without water and if you did not receive any amount of visitor to your blog, there is lot more chances that your blogging career is over. Organic traffic is necessary for all blogs because it comes from search results and gives us a handsome earnings and decent rank to our blog. 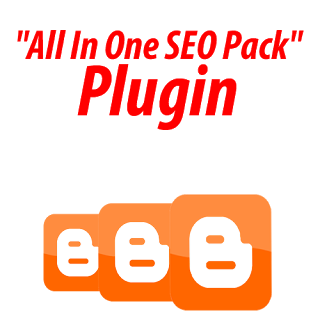 So today I came accross a great and popular post about All in One SEO Pack Plugin for blogger blogs. So lets start the tutorial on adding this widget. Convert Title Tags to Dynamic Title Tags. Allow Crawlers to crawl your site daily. Google + Author Profile Pciture Compatible. Helps you in Getting High USA Traffic. How to Add This Plugin to Blogger? So after that Go to <head> section in Template. After Searching for <head> put following code just below or after your <head> section. Replace all the bolded blue text with yours. Congratulations! : Now you successfully add this to your blogger blog.Now scroll down to the next SEO Guide. So this is the complete SEO Pack for Blogger Blogspot Blogs. After adding this plugin to your blog surely you will get a dramatic changes in your blog traffic after sometimes. Now It's your turn to share this post with your friends and write your views in comment box till then Peace, Blessings and Happy Optimizing. Great information and glad to see stuff like this being posted. Lots of great information and inspiration, Thank you for the efforts you’ve put in writing this blog.